JEECE 2018 application process has started from 16 April 2018. JEECE is an entrance exam which is conducted for the admission in Engineering programme i.e. for B.Tech/B.E courses. 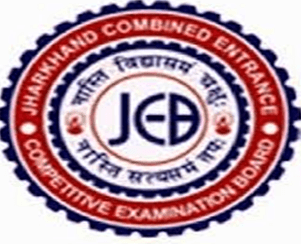 JEECE is conducted by Jharkhand Combined Entrance Competitive Examination Board for admission in State Universities/ Colleges / Institutions in the academic session 2018-19. Therefore, the candidates are suggested to fill the application form on or before10 May 2018. This page gives the information about the Jharkhand JEECE and comprises the information about the important dates, eligibility criteria, application process, result etc. Candidates are advised to scroll down to get the complete details about JEECE 2018. The candidates willing to take admission in engineering courses in the state colleges of Jharkhand need to fill the JEECE application form. Until 2016, the engineering courses in the state of Jharkhand has been offered on the basis of JCECE. However, from 2017 onwards, the admission in Engineering courses will be done on the basis of JEECE which is Jharkhand Engineering Entrance Competitive Examination. Domicile: Candidate must be a citizen of India and Permanent and Local resident of Jharkhand. Age limit: There is no age bar for appearing in JEECE engineering entrance exam. Physical Criteria: The medical checkup of the applicants recommended for the admission in all the courses will be done by the Board and only fit candidates will be treated eligible for the admission. Academic Qualification: Candidate must have passed Class 12 or equivalent examination with Physics and Mathematics as compulsory subjects along with Chemistry. The JEECE Application Form will be available on the official website. However, the candidates willing to take admission in B.Tech/ B.E course need to apply through online mode. The candidates should follow the steps provided to fill the application form which will also be available on this page. The candidates are suggested to fill the application form on or before 10 May 2018. For PCM Group, JCECE will be conducted in the following 3 centres. Candidate will have to give two test centre preferences while filling the JCECE application form. There are total 3 centres where the Jharkhand Engineering Entrance Competitive Examination will be held on 26 May 2018. The candidates are suggested to get the list of the test centres from the table below. After paying the application fee, the candidates have to submit their application form ONLINE only. Candidates are advised to check the details of the application form and then make the final submission as the candidates need to know that once the application gets submitted, the candidates will not be able to change the details of the application form. After the successful submission of the application form, the candidates are also advised to keep at least two printouts of the application form with them for future reference. The candidates are also advised not to send the hard copy of the application to the Board. JEECE Admit card will be available for download online only, the candidates must note that admit card will not be sent by post to them. After downloading the admit card candidates much follow the instructions mentioned in it. JEECE Admit card is an important document and must be kept safely until the time of admission. The application fees are different for the General and SC/ ST categories. The candidates belonging to the respective categories must pay their application fee accordingly. The fee has to be paid through online mode only that is Credit Card/ Debit Card/ Net Banking. The Application fee once paid by the candidates is Non-Refundable. The JEECE Result will be declared in the first week of June 2018 and the candidates will be able to see the result on the official website by following the link which will be available on this page when the result will be declared. The candidates need to know that the answer key will be evaluated with extreme care. Therefore, rechecking of the answer sheet will not be considered. The merit list on the basis of the score obtained by the candidates and the counselling will be held thereafter. The computerised online counselling would be conducted by the Board. The information about the same is given on this page. The counselling will be held in two rounds. The two of the rounds are described below. Total Questions: 150 Multiple Choice Questions in PCM. Each Question carries one mark. The language of Question Paper: The medium for examination shall be English and Hindi both. Marking Scheme: 1 mark will be awarded for every correct answer. Negative Marking: There will be negative marking, for every incorrect answer ¼ marks will be deducted from the total score. More than one response to a question will be considered as wrong response and 1/4 mark will be deducted for the same. Candidates have to mark the answer in the OMR answer sheet with Black Ball Point Pen of Good Quality. Candidate will not do any rough work or writing work on the OMR Response Sheet. JEECE Result 2018 - Declared! JEECE 2018 Answer key (Revised) For SET A, B, C, D - Available!